I’ve been working since I was 15 years old. Working hard my whole life has helped shape my work ethic. 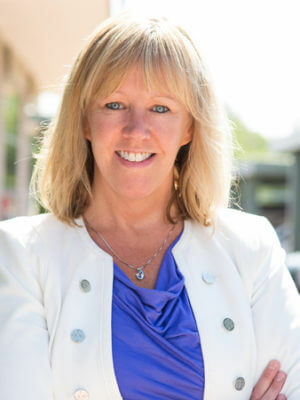 As head of the Not-for-Profit niche, Colette Kamps works exclusively with the not-for-profit industry handling audits, reviews and compilations, consulting and tax returns. She serves many types of nonprofit organizations including health care, social services, arts and cultural, membership associations, schools, foundations and religious organizations, as well as organizations requiring Single Audits. Colette loves working with the nonprofit industry because the people she gets to work with are so passionate about what they do. Before joining Henry+Horne in 2003, Colette worked in private company accounting for six years at an investigative and litigation support company and a retail furniture business. Outside of work, you can find Colette running or hanging out by the pool. She also loves to travel. Her favorite place she has visited is Bora Bora, so it’s no surprise that she and her husband hope to retire to a sunny beach location or sail on a catamaran. I used to play the violin and the piano. If you were an ice cream flavor, what would you be? Where did you grow up, and why aren’t you there now? Beaver Dam, Wisconsin. I am not there now because it is WAY too cold. That is 100% the reason I moved to Arizona. It was cold and I wanted to be warm. Nonprofit accounting: what’s the definition of a collection? Who Will the IRS Choose for Form 990 Audits? Are you baffled by Schedule A? What is the Difference Between Donor-Advised Funds and Restricted Donations? Board Governance = Tax Compliance? Social Welfare or Social Club? Independent Contractors – Who Should Be Reported on Form 990? Violations of Loan Covenants – What Does this Mean for my Audit? Do you have to file for exemption for every affiliate? Rental income - UBTI or not? Is my grant a contribution or exchange transaction? Work Opportunity Tax Credit: Can Nonprofit Organizations Benefit? How Does Your Auditor Decide that You Have an Internal Control Deficiency? Membership Fees - What Portion is the Contribution? Is Your Nonprofit Involved in Foreign Activities? Is Fraud Happening in Your Company?